Joe is a globally recognized product and marketing expert in the ceramic and stone worldwide markets. His specialty is Business Development, Product Management, and Marketing. He has developed his expertise in strategic planning, new product development and marketing strategy during his twenty-seven year career at Dal-Tile, a subsidiary of Mohawk Industries. Annual gains in improvement and repair spending on the owner-occupied housing stock are projected to continue decelerating through early next year, according to our latest Leading Indicator of Remodeling Activity (LIRA). 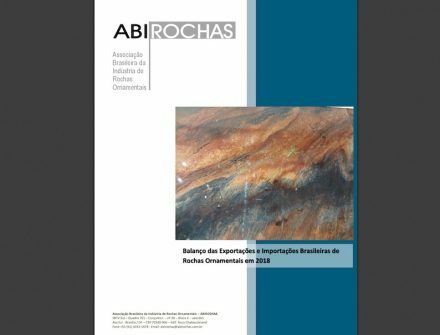 The LIRA forecasts that year-over-year growth in homeowner remodeling expenditure will slow from about 7 percent today to 2.6 percent by the first quarter of 2020. Cooling house price gains, home sales activity, and remodeling permitting are lowering our expectations for home improvement and repair spending this year and next. Yet, more favorable mortgage rates could still give a boost to home sales and refinancing this spring and summer, which could help buoy remodeling activity. Home improvement and repair spending has been in an extended period of above trend growth for several years, due to weak homebuilding, aging homes, and other factors. However, growth in remodeling is expected to fall below the market’s historical average of 5 percent for the first time since 2013. 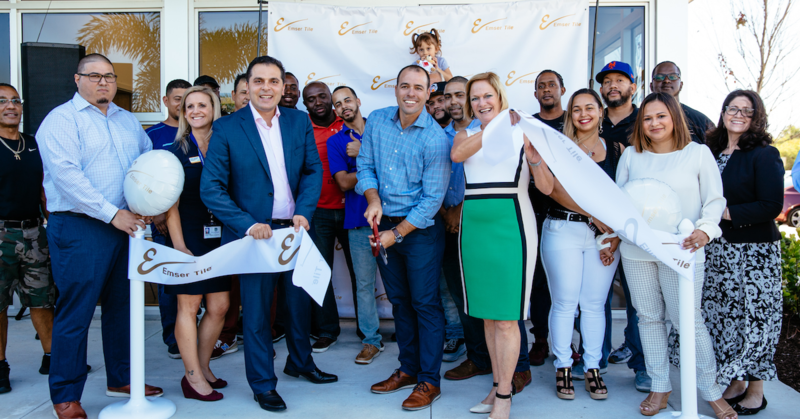 [Coral Springs, Fla.] Emser Tile opened its fourth distribution center in North America. The addition of the 220,000-square-foot state-of-the-art distribution center here in Coral Springs supports the region’s homebuilders, retailers and residential and commercial architects and designers with localized service, increased inventory and expedited product availability. In Florida alone, the company operates six sales and service branches. In response to regional demand and in support of Emser Tile’s growth strategy, Coral Springs was chosen as the ideal location based on its excellent highway infrastructure and proximity to Port Everglades and the Port of Miami, the company said, adding that the distribution center currently employees more than 30 associates. The U.S. AD law imposes special tariffs to counteract imports that are sold in the United States at less than “normal value.” The U.S. CVD law imposes special tariffs to counteract imports that are sold in the United States with the benefit of foreign government subsidies. For AD/CVD duties to be imposed, the U.S. government must determine not only that dumping and/or subsidies are occurring, but also that there is “material injury” (or threat thereof) by reason of the dumped and/or subsidized imports. Importers are liable for any potential AD/CVD duties imposed. In addition, these investigations could impact purchasers by increasing prices and/or decreasing supply of ceramic tile products. The merchandise covered by these investigations is ceramic tile. Ceramic tiles are articles containing a mixture of minerals including clay (generally hydrous silicates of alumina or magnesium) that are treated to develop a fired bond. The subject merchandise includes ceramic flooring tile, wall tile, paving tile, hearth tile, porcelain tile, mosaic tile, finishing tile, and the like (hereinafter “ceramic tile”). All ceramic tile is subject to the scope regardless of whether the tile is glazed or unglazed, regardless of size, regardless of the water absorption coefficient by weight, regardless of the extent of vitrification, and regardless of whether or not the tile is on a backing. Ceramic tile is covered by the scope regardless of end use, size, thickness, and weight. For the avoidance of doubt, subject merchandise includes tiles pressed as very large single pieces, up to and exceeding 5’ x 15’. Subject merchandise includes ceramic tile produces in the People’s Republic of China (PRC) that undergoes minor processing in a third country prior to importation into the United States. Similarly, subject merchandise includes ceramic tile produces in the PRC that undergoes minor processing after importation into the United States. Such minor processing includes, but is not limited to, one or more of the following: beveling, cutting, trimming, staining, painting, polishing, finishing, or any other processing that would otherwise not remove the merchandise from the scope of the investigation if performed in the country of manufacture of the in-scope product. The scope excludes ceramic bricks properly classified under HTSUS 6904.10.0010 through 6904.90.0000. Subject merchandise is currently classified in the Harmonized Tariff Schedule of the United States (“HTSUS”) under the following subheadings of heading 6907: 6907.21.1005, 6907.21.1011, 6907.21.1051, 6907.21.2000, 6907.21.3000, 6907.21.4000, 6907.21.9011, 6907.21.9051, 6907.22,1005, 6907.22.1011, 6907.22.1051, 6907.22.2000, 6907.22.3000, 6907.22.4000, 6907.22.9011, 6907.22.9051, 6907.23.1005, 6907.23.1011, 6907.23.1051, 6907.23.2000, 6907.23.3000, 6907.23.4000, 6907.23.9011, 6907.23.9051, 6907.30.1005, 6907.30.1011, 6907.30.1051, 6907.30.2000, 6907.30.3000, 6907.30.4000, 6907.30.9011, 6907.30.9051, 6907.40.1005, 6907.40.1011, 6907.40.1051, 6907.40.2000, 6907.40.3000, 6907.40.4000, 6907.40.9011, and 6907.40.9051. Subject merchandise may also enter under subheadings of headings 6914 and 6905: 6914.10.8000, 6914.90.8000, 6905.10.0000, and 6905.90.0050. The HTSUS subheadings are provided for convenience and customs purposes only. The written description of the scope of these investigations is dispositive. The petitioner alleges dumping margins of 178.22 percent to 428.58 percent. 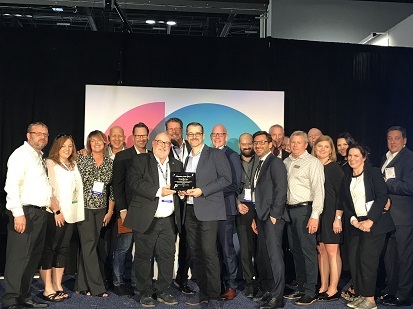 In the news : CTDA is excited to announce the 2019 Supplier of the Year, Crossville, Inc! Eric Astrachan leads TCNA press conference. Today, several of the largest U.S. ceramic tile manufacturers filed anti-dumping and countervailing duty petitions with the federal government. The patent-pending, INSTANT REMOVER is an "immediate cleaner” for fresh cement grout used with porcelain, ceramic, glass mosaic and quarry tile. New Ravenna, one of America’s premier designer and manufacturer of mosaics for both residential and commercial installations, is pleased to introduce 12 new Delft mosaic designs to their Sea Glass collection. Inspired by early 17th century Dutch porcelain, the mosaics are handcrafted using four different colors of blue and white glass. Sophia IoT is the newest IoT platform developed by Biesse in collaboration with Accenture, which enables its customers to access a wide range of services to streamline and rationalize their work management processes. Dawn D. Totty is a native New Yorker, and lived there for all of her life before moving south 10 years ago. She started designing in the fashion world, and then transition into interior design 15 years ago. She designs residentially and commercially. Her signature claim to fame is very custom designs. Anjie Cho talked with Contemporary Stone & Tile Design to discuss her use of stone and tile in her designs and the trends she is seeing in the industry. Warren sheets, CEO of Warren Sheets Design (WSD), located in San Francisco, CA, established his company in 1992. He works on projects as large as the Fairmont Grand del Mar in San Diego and as small as private residences. To keep up with the ever-changing trend, the Tile Council of North America (TCNA) is continuously developing different standards. The organization recently focused its efforts on properly defining this realm of tiles, which now incorporates all types of materials and sizes. In early 2015, after 19 years of living in their Glendale, CA, residence, the homeowners decided it was time to update their 1960’s tract house. Architect and builder Uri Tedgi sets no limitations for himself when it comes to his business. Deviating far from the style of a typical hotel in California is the Lakehouse Hotel and Resort in San Marcos, CA. When a homeowner in California was looking to update her master bathroom and create a more relaxing space for herself, she enlisted the assistance of a local interior designer with a keen eye for design. Since starting his firm, Arch-Interiors design group, inc. in 1994, Christopher Grubb has strived to provide his clients with unique high-quality custom designs.